Edakkal caves are one of the best tourist attraction in Wayanad. These are two natural caves located at 25 km from Kalpetta and 14 km from Sulthan Bethery, Wayanad. This historical tourist attraction is situated on the top of Ambukuthi Hills at 1,200 m above sea level.Edakkal caves are famous for its Stone Age Carvings that date back to 6000 BC. One has to trek up to the top of Ambukuthi Hills to view the caves. The place is suitable for youngsters who loves trekking and have good physic. It takes around 45 mins to reach the top. The lush greenery and the scenic beauty of coffee plantations and surrounding mountains make the journey worth. Edakkal literally means ‘A Stone in between’. Scientists also have the opinion that these are not real caves but it is a fissure in the rocks. These fissures had been created due to the climate change. Sulthan Bethery is the nearest KSRTC Bus station to Edakkal. From there we can get local buses to Edakkal. Sulthan Bethery is accessible from Mysore or Kozhikode by bus in 3-4 hours. Nearest Railway Station is Calicut which is almost 100 km from Edakkal. The current nearest airport is Kozhikode International Airport. A new airport has been under construction in Mysore. 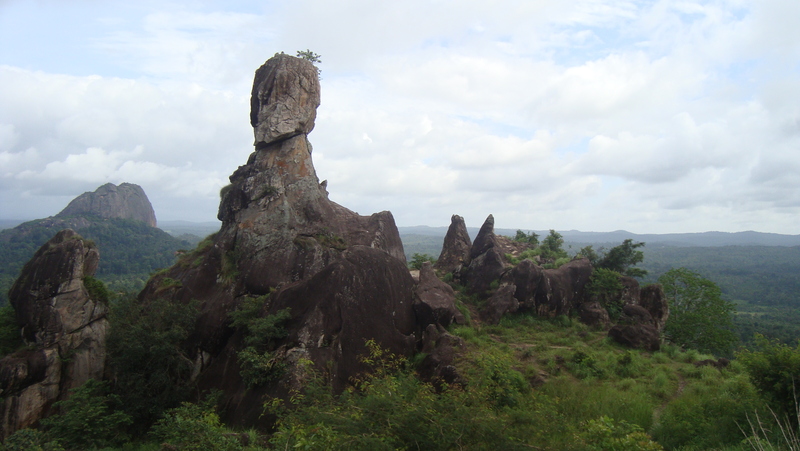 From Edakkal, the caves can be reached by 1 km trekking trail.Edakkal Caves is opened to public from 9AM to 5 PM. Chembra Peak is another trekking spot in Wayanad and is only 40 km far from Edakkal Caves.